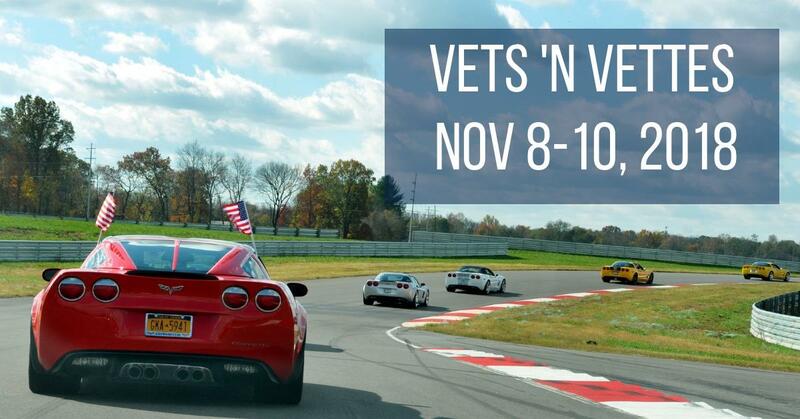 This November, as part of Military Appreciation Month, the National Corvette Museum in Bowling Green Kentucky will be hosting its 10th Annual “Vets ‘n Vettes.” This special three day event will be presented by Mobil 1 and hosted at the NCM’s Motorsports Park from November 8-10, 2018 to recognize and celebrate local Veterans for their service in our armed forces. On Thursday, November 8, 2018, attendees will be able to enjoy laps around the NCM’s Motorsports Park. 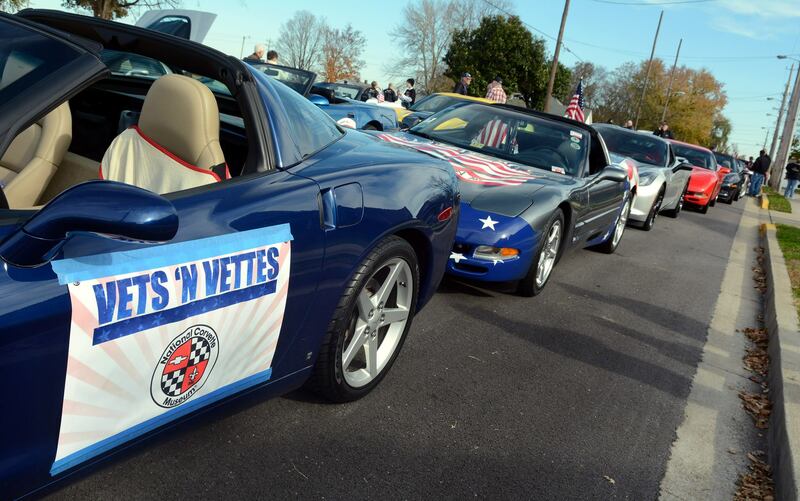 “Vets ‘n Vettes” starts on Thursday, November 8th and will feature a day long track event at the Motorsports Park. 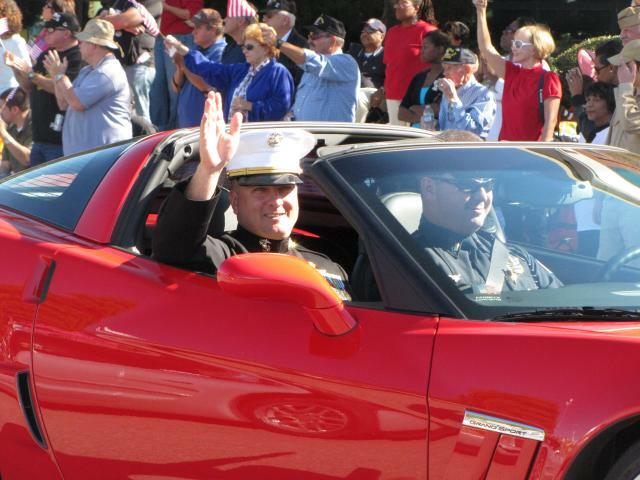 Local Corvette owners will provide Veterans with a ride around the 3. 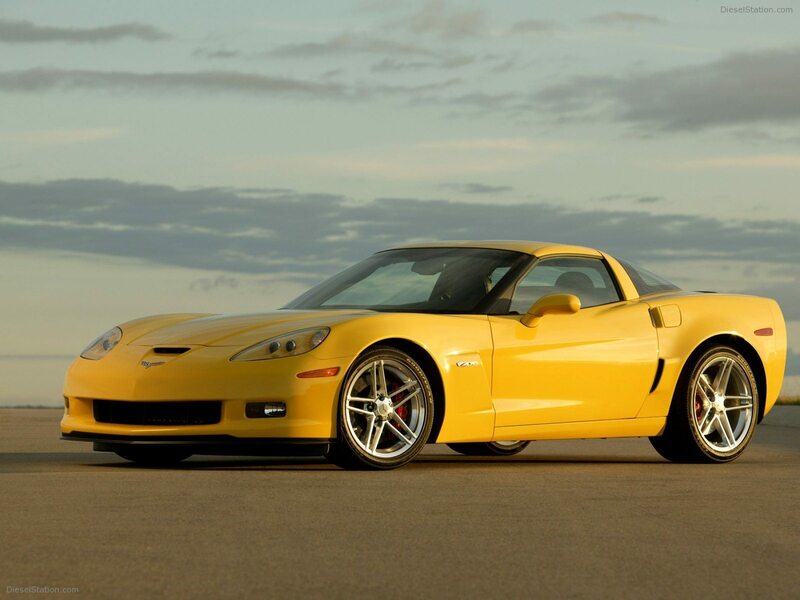 15 mile racetrack, allowing them an opportunity to experience the track firsthand as a passenger in a Corvette. All participants for this event MUST register in advance in order to drive their car on the track during this event. Complimentary lunch will be served to both the drivers and the Veterans in attendance. The NCM track is located at 505 Grimes Road (just off Porter Pike) in Bowling Green, Ky., and the ride-alongs will be hosted from 9 a.m. to 3 p.m. central time. On Friday, participants will participate in one of two sponsored events. The first will be the “LT1: General Jackson Showboat“ which will feature a 2.5-hour river cruise on the General Jackson as it travels up the Cumberland River from its launch at Opry Mills to downtown Nashville, Tennessee. Guests will enjoy an afternoon of entertainment along with a delicious lunch buffet. Registration for this excursion is $65.00 and does not include transportation to-or-from the event. For those looking for a less intensive excursion, you can elect to participate in “LT2: Barren River Lodge for Lunch.” This outing will feature a beautiful drive down to Barren River State Park Resort where participants can enjoy a buffet at the Driftwood Restaurant, which overlooks the beautiful 10,000-acre lake. Registration for this event is $25.00. While it is a guided driving tour, it still requires attendees to drive their own vehicle to the event. Finally, on Saturday, participants will be part of the annual Bowling Green Veterans’ Day Parade. The parade, which kicks-off at 10am will conclude around 11:30am. 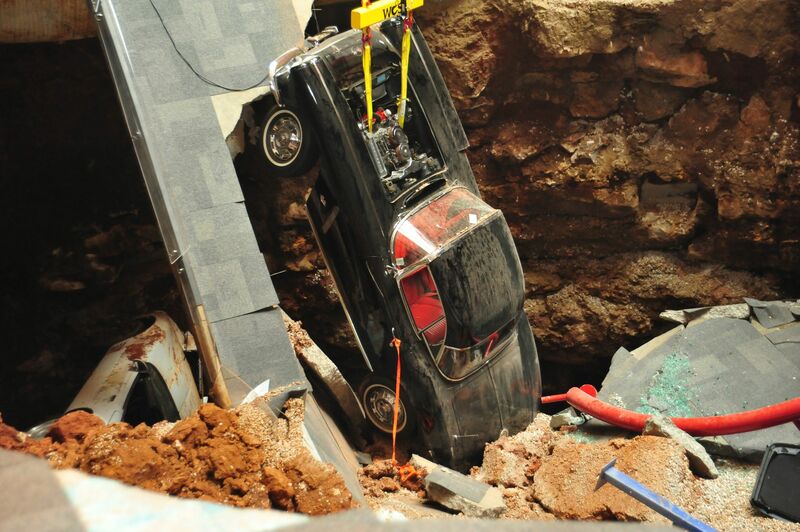 Corvette owners/drivers are encouraged to meet back at the National Corvette Museum. From there, all participants will caravan to the local VFW hall, where members of the VFW will be hosting their annual Fish Fry. Registration for the “LT3 VFW Annual Fish Fry” is $15.00, and all proceeds will be donated to Kentucky’s Wounded Hero’s program. In addition to the sanctioned events listed above, attendees will have the opportunity to participate in a number of events including: Meet n’ Greets, road tours, dinner outings, along with providing veterans, along with active servicemen and women a comfortable venue to share their stories and experiences. General registration for Vets ‘n Vettes is just $20.00, and registration is required for anyone looking to participate in the track event on Thursday, November 8th. Meanwhile, the Veterans luncheon will be free to veterans and their spouse or guest. The luncheon buffet will be hosted in the track garages from 11:30 a.m. to 1 p.m. Luncheon guests are asked to RSVP by Friday, Oct. 27 with a call to Bryce Burklow at 270-777-4506. All on-line registrants will receive a hard-car credential, a lanyard and an event pin. Beyond this weekend-long event, American military veterans, along with police and firefighters, will receive free admission to the Museum during the entire month of November just by showing proof of service at the admissions counter. Their immediate accompanying family will also receive free admission. The Museum is located at I-65, exit 28 in Bowling Green, KY and is open daily, 8am-5pm Central Time. 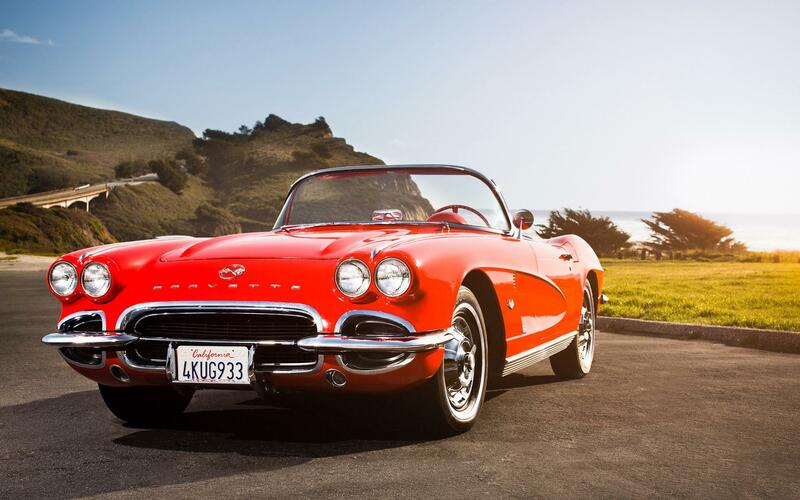 Learn more about the Museum at www.corvettemuseum.org. 9:30am – 11:15am MOVIE TIME – ‘The Producers’Mel Brooks wrote an original screenplay whose characters are driven by greed, need, neurosis, cheerfully shameful sexual behavior and a deep cynicism about show business. 1:00pm – 3:00pm MOVIE TIME – ‘Phantom of the Opera’The haunting story of The Phantom of the Opera is adapted from Gaston Leroux’s novel of the same name and is set in the heart of the Paris Opera House. As young ballet dancer Christine Daae becomes the object of The Phantom’s secret affections, he manipulates her career at the expense and horror of the Opera House staff and stars. ** Guest Speaker is Jack Delong – Vietnam Veteran and Lifetime Member of the NCM. 9:45am – 4:00pm LT1: General Jackson Showboat – NashvilleTake the 2.5-hour General Jackson Showboat Midday Lunch Cruise for an afternoon of entertainment along with a delicious buffet lunch! Enjoy the comedy, audience interaction, and catchy tunes from the band while cruising along the Cumberland River and tasting a mouth-watering Southern-style buffet prepared by the General Jackson’s very own sous chef. 11:15am – 2:00pm LT2: Barren River Lodge for LunchIf you are looking for a shorter / lighter day – take a nice drive to Barren River State Park Resort. Enjoy the buffet at the Driftwood Restaurant overlooking the beautiful 10,000-acre lake. Outback SteakhouseOutback Steakhouse of Bowling Green would like to give back to our Veterans. Enjoy an evening of great food, entertainment, and camaraderie with other BG Veterans. VFW will also be serving our participants a fish fry.We want to support our local VFW – with all proceeds going to the KY Wounded Hero’s program.